Keep Your Eye on the Prize. Vision is the most important aspect of being an outstanding driver — both on the track and on the roadways. The further ahead you look and the more open your vision is, the better you’ll drive. Always look at least one step ahead of where you are on the track. Never look at something you don’t want to hit... that’s called “target fixation” and it often backfires. Always focus on where you want to go and your brain will instruct your hands and feet so they get you there. Master Line Technique. Knowing the proper driving line through the corner is critical. There are five types of corners: Constant Radius, Increasing Radius, Decreasing Radius, 90-degree Bend, and Chicane (also known as an “S” Turns.) Each of these corners drive very differently. Knowing the proper line through the corner will maximize your performance and decrease your overall lap times. Perfect Your Braking Technique. Believe it or not, using your brakes can actually make you faster! The key is to know when and how much to use them. Most people tend to drive into the corner too fast, which makes them late getting back on the throttle. The result? They’re slower at corner exit and going down the straight away. If you brake sooner, you get back to the throttle sooner, and hit the corner exit at maximum speed to propel you down that straight away. Live by the motto “Slow in, fast out” and your results will improve significantly! 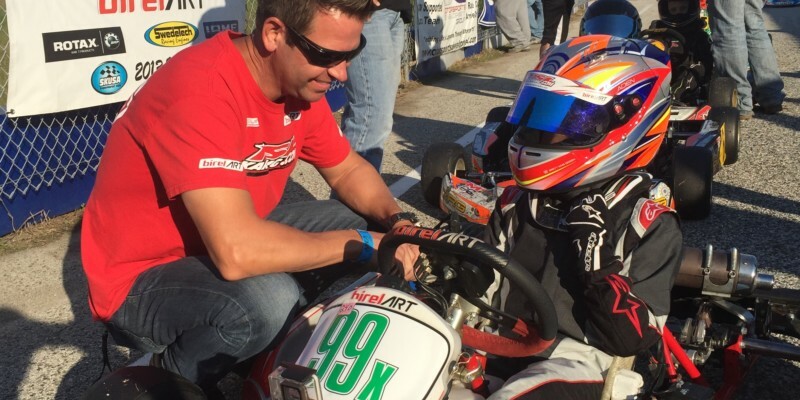 If you’re interested in learning more from karting great Alan Rudolph, there’s no better place to do that than the Alan Rudolph Racing Academy located at Speedsportz Racing Park just north of Houston! Learn expert tips and techniques that are certain to make you a faster, better kart racing athlete! Learn more about our kart driving skill course offerings here!